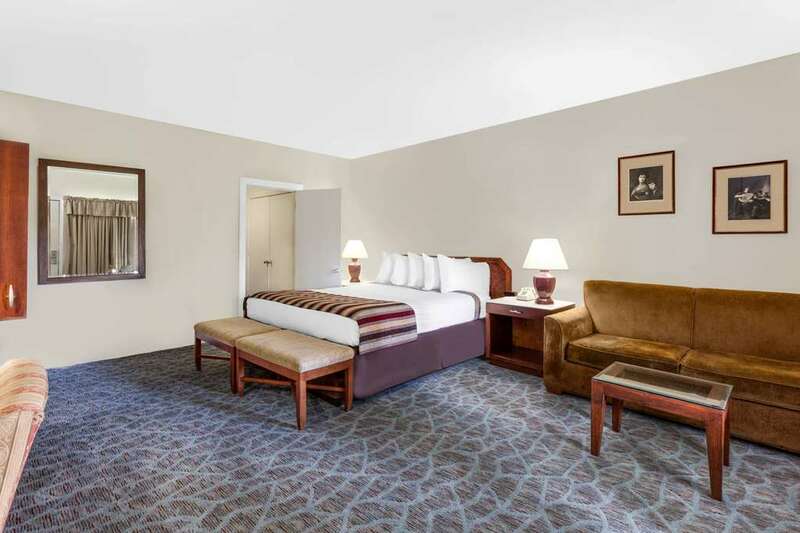 Revitalize at Days Inn Natchez hotel, near Magnolia Bluff Casino. Located on world famous Highway 61, our Natchez hotel is close by great Southwest Mississippi attractions. Our celebrity suites have been visited by stars like John Wayne, William Holden and John Ford. Wake up to a free enhanced Daybreak Buffet Breakfast. Take advantage of free Wi-Fi internet access. We have onsite guest laundry. Cool off with a swim in our seasonal outdoor pool. We offer free parking, free USA Today Paper and free southern style supper served in our lobby Mon-Thursday. All rooms are equipped with Flat Screen TV. Kits 17 and under stay free with an adult at our pet friendly hotel. Non smoking rooms are available.